My last blog post described an intro to radare2 for malware analysis, so it is only fair that we also cover its GUI variant, Cutter. This post will closely mirror the previous article to discuss Cutter and its usage. If you like the radare2 framework but find the command-line interface intimidating, Cutter may strike the right balance for you. Alternatively, if you are simply looking for a free graphical disassembler to perform malware analysis, Cutter is worth considering. You can download the latest release of Cutter here. Then, simply extract it to a directory of your choosing. I use a 64-bit Windows 10 virtual machine for my analysis, so I downloaded and ran the appropriate binary. Specifically, I’m using the Windows VM we distribute in the SANS FOR610 Reverse Engineering Malware course, so you will see references to the “REM” user in screenshots. Beyond the typical version and About information, this window provides the opportunity to change the GUI’s theme. Clicking on the “Native Theme” dropdown allows the analyst to choose an alternative “Dark Theme.” Since dark modes/themes are all the rage these days, the latter theme is used in upcoming screenshots. Notice that the “Analysis” checkbox is checked by default, indicating the binary will be preprocessed – this is in stark contract to radare2, which requires the user to deliberately kick off any analysis. The sliding bar in the middle of the load options can be dragged left or right for less or more rigorous analysis, respectively. We’ll leave the default “aaa”, which generally performs a sufficient level of auto analysis. We will also leave other defaults untouched and press OK.
As expected, Cutter brings us to the program’s entry point, 0x4044bb. While other static file analysis tools provide similar data, it is convenient to have this output readily available within Cutter. Ransomware commonly checks for and terminates processes that access document files to maximize the number of files it can encrypt. Focusing on the lstrcmpiW, OpenProcess and TerminateProcess CALLs in graph view provides additional insight into what happens if the program matches a process name against its predefined list. Specifically, if a string match occurs, the program will access the target process via OpenProcess and then terminate it. If a match is unsuccessful, execution will jump over the code that calls OpenProcess and TerminateProcess since those APIs are not needed. This article mirrored the previous post on radare2 to provide an alternative (i.e., graphical) interface for using the radare2 framework. It’s tempting to stick with one tool and sometimes uncomfortable to try others. However, even brief exposure to alternatives could be eye-opening. In the best case, you absorb a new tool or approach into your RE arsenal. In the worst, you find even more reason to love your current tool of choice. IDA has been the gold-standard disassembler for malware analysis, but its competitors are maturing rapidly. Analysts have more options, and this means tool developers and contributors have excellent incentives to create the best tool at an affordable price. It is an exciting time to learn and perform malware analysis. In recent years, a variety of inexpensive or free disassemblers and debuggers have gained serious momentum, including radare2 (a.k.a. “r2”), Cutter (GUI for radare2), Binary Ninja, Hopper, and x64dbg. If you have a license for IDA Pro and are happy with the experience, you may have little reason to explore other options. However, if you are still in the early stages of your career in malware analysis, or you are working with a small budget, you may not have access to this relatively pricey product. Regardless of your background, disassembler preference, or budgetary restrictions, each tool listed above provides a different reverse engineering experience, and each is worth trying once. At the very least, a test drive can clarify your preferences and bring an appreciation for the tool(s) you choose to use. This post focuses on an initial workflow for performing static code analysis using radare2. Specifically, it will cover how to load a PE file into radare2, identify an imported API of interest, find a reference to the API, view assembly at that location, and begin to assess the code’s purpose. Let there be no doubt – learning how to use radare2 is complicated. However, the best way to tackle a difficult task is to get started. Radare2 binaries and source for a variety of operating systems are available here. I used a 64-bit Windows VM environment for my analysis, so I downloaded and ran the appropriate binary. Specifically, I’m using the Windows VM we distribute in the SANS FOR610 Reverse Engineering Malware course, so you will see references to the “REM” user. For this post, we will use a Gandcab ransomware sample. If you want to follow along, you can download the sample here (password: malware). To load the file into radare2, simply type radare2 , as shown below. We now have a radare2 shell waiting for additional commands. Notice the shell indicates we are at the address 0x004044bb, which is the entry point for this executable (more on that in a moment). To navigate an executable within radare2, you will use text-based commands to initiate processing and query information. Along the way, using the question mark (“?”) will provide help about command options. For example, type a question mark ? and hit return. Below is an excerpt of the initial output. For example, typing ie will provide information about the executable’s entry point. Below is an excerpt of this command’s output. Notice the virtual address (“vaddr”) matches the address of our location within the radare2 shell, confirming that we currently reside at the executable’s entry point. To begin our code analysis with radare2, we must first kick off some automated analysis. Depending upon your prior exposure to radare2, you may be surprised to know that, by default, radare2 does not perform any analysis at startup. Other disassemblers and debuggers like IDA Pro and x64dbg will automatically analyze the binary to identify functions, code and data. The author of radare2 (pancake), however, takes a different approach. He details his case here, but the basic point is that radare2 aims to run on various platforms with varying levels of computing power, and it is capable of analyzing many different binary architectures. As a result, no analysis is typical, so it’s up to the analyst to determine what types of processing are relevant. While some may reject this approach, it forces the analyst to be more deliberate in their work. In fact, the entire radare2 experience reinforces this by requiring explicit commands to view information and navigate the code. Notice the autogenerated comments in red are unhelpful in this case, but they are included for completeness. As indicated by the help information, pds focuses on strings, calls, jumps, and references to provide an overview of the function. Looking at the above output, notice the APIs CreateToolhelp32Snapshot, Process32First, lstrcmpiA, and Process32Next. This progression of CALLs is often used to capture a snapshot of running processes, begin iterating through the list, compare process names to one or more predefined names, and continue through the list, respectively. To understand precisely how these calls are used and what decision points are encountered, we need more information about the function. We could print the entire function body with the command pdf (print disassembled function), but this prints a rather large amount of output that you have to scroll through in the terminal. I mentioned earlier that when malware uses CreateToolhelp32Snapshot to capture and evaluate running processes, it often compares the process list snapshot to predefined values. It is likely this is that predefined group of process name strings. Considering this sample is ransomware, it makes sense that the malicious code would want to check for these process names, as they may have a lock on files worth encrypting. Since this approach allows for easy exploration of the code, it is my preferred method for code analysis. Typing a question mark will provide a help menu specific to this interface, although that output is not shown here. Another perspective on this code and its flow of execution is achieved by entering graph mode with the command VV. Once in graph mode, the HJKL keys will allow you to browse the decision points that occur throughout the function. Below, focusing on the lstrcmpiW, OpenProcess and TerminateProcess CALLS in this more visual interface provides insight into what happens if the program matches a process name against its predefined list. Specifically, if a string match is found, the program will access the target process via OpenProcess and then terminate it. This post introduced radare2 and explored a basic workflow to load a binary and begin analysis. There is certainly much more to learn about radare2, but I hope this jumpstarts your journey. If you would like to learn more about malware analysis strategies, join me at an upcoming SANS FOR610 course. Just as a surgeon should understand the human body and its parts to excel in surgery, a malware reverse engineer should understand the structure and components of a binary to be proficient in malware analysis. Within the Windows operating system, we are referring to the Portable Executable (PE) format. This article will not discuss every excruciating detail about a Windows executable. If you’re looking to scratch that itch, read through Microsoft’s PE Format and Peering inside the PE articles or start reading about structures defined in winnt.h. Don’t get me wrong – these are excellent reference articles, and I will link to them throughout this post, but tackling each resource in its entirety can be overwhelming. For this discussion, we will navigate a PE file, focusing primarily on fields associated with the binary’s imported DLLs and functions. My hope is that by concentrating on just this one aspect, you will (1) learn an approach to maneuver the PE structure and (2) apply this approach to better understand terminology related to an executable’s imports. For this discussion, I will use the freely available CFF Explorer tool that is part of NTCore Explorer Suite. Also, my target file is – brace yourself – notepad.exe. Why use a legitimate file for this exercise? First, to understand the structure of a PE file, you don’t need malware. Second, a deeper understanding of legitimate files allows you to more easily discover anomalies when you analyze suspect files. For more on this topic, read my earlier post on analyzing files, not malware. We begin our travels through the PE file format, well, at the beginning. After loading notepad.exe into CFF Explorer, you will see headers on the left side that comprise the first bytes of a typical Windows executable. These headers describe the rest of the file, including the executable content, resources, and imports. Let’s start with the MS-DOS header (also called the MS-DOS Stub), which displays “This program cannot be run in DOS mode” when the executable is run in MS-DOS. At the beginning of this header (see top-right of Figure 1) is the e_magic field, and it contains the well-known “MZ” characters represented by the hexadecimal value 0x4D5A (shown as 0x5A4D above because the value is interpreted as little-endian). Most fields in this header are not relevant to newer operating systems, but the final field e_lfanew (see below) is significant because it points to the PE header, shown in CFF Explorer as Nt Headers. Clicking on Nt Headers (below) takes us to file offset 0xF0, which matches the value of e_lfanew above. The value translates to the string “PE”, which typically appears at the beginning of the PE header. Next on our path is the COFF File Header, displayed simply as File Header in CFF Explorer. This header includes information such as the target machine type (e.g., x64), the compile timestamp and file characteristics (e.g., is the executable a DLL or EXE?). Then, we have the Optional Header. By the way, this header is “optional” for files like object files, which are not directly executable. For image files like notepad.exe, which are directly executable, this header is required. It contains a wealth of information that supports loading the executable into memory. One field worth mentioning is the ImageBase (below) which specifies the preferred address where the executable should be mapped in memory. If ALSR is enabled, this address is randomized. Both the Import Directory and Import Address Table Directory have RVA and size values. The size is straightforward in that it indicates the size, in bytes, of the table. The Relative Virtual Address (RVA) refers to the location of the specified table. RVA is a virtual address because this is an address after the executable is loaded into memory (i.e., after it is “memory-mapped”). It is relative to the ImageBase, so adding the RVA to the Imagebase provides the Virtual Address (VA) in memory of the specified table. The contents of a Windows executable after the headers are organized into sections. The table above provides important information on the name, location (both on disk and in memory) and characteristics of each section. Key sections include “.text” for executable code, “.rdata” for read-only data, and “.rsrc” for resources like icons. You may have noticed in Figure 6 that both highlighted RVA rows have “.rdata” in the Sections column, indicating both tables reside in that section. How was this determined? First, see .rdata’s Virtual Address value in Figure 7, which is 0x1A000. I should clarify that this column lists RVAs, not VAs as the column heading suggests. Next, note .rdata’s Virtual Size of 0x73A8. Performing simple math shows that the .rdata section will extend from RVA 0x1A000 to 0x213A7 (inclusive). Looking back at Figure 6, RVAs for both the Import Directory and Import Address Table Directory (0x1F300 and 0x1A620, respectively) fall within this range. The Import Directory RVA is 0x0001F300 and notepad.exe’s ImageBase is 0x140000000, so the VA is 0x14001F300. What’s located at that address? Looking at this offset within the file on disk will not be helpful since, as mentioned earlier, the VA is an address in memory. As a result, we must use a tool that will load our executable similar to how the Windows loader would in preparation for execution. One approach is to use a dissassembler like IDA Pro, which will load the executable into memory in the same manner as the Windows loader during file execution. For this example, I will use IDA Freeware version 7.0 for Windows. When loading notepad.exe into IDA, you will see the window below with load options. I recommend unchecking “Create imports segment,” at least for now. Leaving this checked means IDA will create an “.idata” section for imports, and for this discussion I prefer to more closely represent the raw binary by not creating additional sections. After clicking “OK,” you will also see a prompt asking if you want to take advantage of debug information. Choose “No” for now. Figure 9: Jumping to the Import Directory VA in IDA. Note that jumping to the above address assumes the loader will respect the address in the ImageBase field. IDA Pro takes this approach, but the Windows loader and other dissassemblers like x64dbg will randomize the ImageBase unless ASLR is disabled for this executable (for more information on this point, see Lenny Zeltser’s article here). This is the beginning of the Hint/Name Table. We see references to functions including OpenProcessToken, GetTokenInformation, and DuplicateEncryption – all functions imported from advapi32.dll. This makes sense since we arrived here after double-clicking the first entry in the advapi32.dll Import Name Table. Hint: This is an index into the imported DLL, and it is used to help locate the required function. In the first Hint/Name table entry above, the value is 0x214. Name: The name of the imported function, null terminated. This is used to find the imported function within a DLL when using the Hint does not suffice. In the first entry above, this value is OpenProcessToken. Padding: IDA Pro’s “align” directive refers to 0-byte padding. 2. Time Stamp: This value will generally be zero, unless the DLL is binded. DLL binding is out of scope for this post, but see this article to learn more. 3. Forwarder Chain: A DLL may reference another DLL’s functionality, but similar to the Time Stamp field above, this value is generally zero. Again, the details of this field are out of scope for this article, but you can search for “ForwarderChain” in this article for more information. 5. Import Address Table (IAT) RVA: First, understand that the Import Address Table is populated by the loader when the executable and its imported DLLs are mapped into memory, and it is a table of pointers to the imported functions. Each entry in the table is called a “thunk” and the table is referred to as a “thunk table.” With that in mind, the RVA in this field points to the address of the imported function within the IAT. For example, double-clicking on OpenProcessToken at 0x14001F310 in Figure 10 takes us to the location below. The reference to OpenProcessToken at 0x14001A620 represents the address in memory where the function code resides. In other words, 0x14001A620 is referenced when OpenProcessToken is called within notepad.exe. To emphasize this point, highlight OpenProcessToken and hit “x” on the keyboard. The xrefs window (below) shows a CALL to the OpenProcessToken API. Also note that the first address 0x14001A620 in Figure 13 matches the Import Address Table Directory RVA specified in Figure 6, if you add the ImageBase. This makes sense, because Figure 13 shows the start of the Import Address Table Directory. Improving your Python programming skills is likely on your to-do list – just like cleaning your closet, painting that wall, or tightening that loose screw (you know which one I’m talking about). Scripting, in general, is a useful skill to have across most security disciplines. Writing a script can help you automate a menial task, scale your analysis to large volumes of data, and share your work. Although there are multiple programming languages to choose from, Python is the most popular language of choice because, among other reasons, it is cross platform and relatively easy to read and write. Many existing open-source security tools are also written in Python, so learning this language helps you better understand existing capabilities. This blog post introduces Python programming for Portable Executable (PE) file analysis. In this context, a script can enable you to quickly parse an individual file and extract key characteristics, or scale that activity across numerous files to help prioritize work. Note that this post assumes the reader has had some basic exposure to Python and programming concepts. With some basic programming skills, it’s possible to improve your knowledge of Python by simply reviewing existing code, making changes as needed. While simply tweaking code may yield the desired results in some cases, many will likely benefit from a more formal introduction to the language. A quick online search will reveal many freely available written and video Python tutorials. For a structured, interactive introduction, I recommend Code Academy. If you’re available for a more rigorous, immersive Python learning experience, consider the SANS SEC573 “Automating Information Security with Python” course (full disclosure, I’m a SANS Certified Instructor). These tools produce useful output and serve as excellent starting points for understanding Python. By simply viewing the source code and performing research as necessary, you can learn from what the authors wrote and modify the code to serve your own purpose. However, as you build experience in technical analysis, you will likely encounter scenarios where existing tools do not meet your needs, and a customized solution must be developed. Rest assured, these cases do not require you to write code from scratch. Instead, you can rely upon existing Python libraries to extract data and manipulate output in a way specific to your needs. A popular, long-standing library for PE file analysis is aptly called pefile. This module provides easy access to the structure of a portable executable. Another fairly recent and more versatile cross-platform library is called Library to Instrument Executable Formats (LIEF), and it includes a Python module for PE file analysis (documented here). This blog post will focus on using Python 2 and pefile for file analysis. Note that pefile is a third-party module, not one that is built-in with a standard Python install. As a result, you may have to install it it first; try pip install pefile. Let’s explore this module by viewing its help information. Type help(pefile). Below is an excerpt of the output. The description tells us that this class will give us access to the structure of a PE file, which is precisely what we need for our Windows file analysis. The output also explains how to create an instance of the PE class. Let’s read in a file for testing. For this post, we’ll use an emotet sample. We can return to the help menu to read more about the methods and attributes of the PE class. Alternatively, we can view a summary of this information by typing dir(pefile.PE). An excerpt of this output is below. There is a lot of text here, and much of it may not make depending on your prior exposure to PE file analysis. However, let’s look for some basic terms we may recognize. We see references to multiple methods beginning with “get_” that are helpful for collecting some basic static information about a file. For example, get_impash() returns an MD5 hash of the Import Address Table (IAT). Let’s give this a try using our file instance. The get_imphash() method worked as expected, providing the file’s import table hash. Let’s continue our journey with pefile and extract other static information often reviewed during initial malware analysis. For example, how can we use pefile to understand which DLLs and functions are imported by this executable? To answer this question, we will again use the built-in help() system with some old fashioned trial and error. This methodology can be used with any well documented Python module. For now, we will just focus on imports by name, so the name attribute should have the information we need. Let’s incorporate this into our code and make the output a bit more readable. Success! This code provided us with the name of an imported DLL and its corresponding imported function names. We could make this output more elegant, but the information we need is here. As discussed in the Introduction, automating work with a script enables you to scale a task across a larger volume of data. The individual file analysis performed above has its place, but if your day-to-day job involves malware analysis, you may have hundreds or thousands of files to sift through before choosing one for closer review. In these scenarios, extracting key information from all files allows you to group and prioritize samples for more efficient analysis. Create a list of all files in the directory (full path). Open an XLSX file for writing (I often use Excel for easy viewing/sorting, but you can certainly output to CSV or, even better, write this information to a database). Calculate and write each file’s sha256 hash and imphash to the XLSX file. Below is one way to approach these tasks. I titled the above script pe_stats.py and ran it against a directory named “suspect_files” with the command python pe_stats.py suspect_files. To populate the target directory, I downloaded 100 highly convicted files from VT (specifically, I used the basic VTI query “type:peexe positives:50+”). An excerpt of the resulting data, when opened in Microsoft Excel, is below. A quick glance at the first few rows immediately reveals a pattern in the imphash values. As a next step, perhaps you will investigate the largest cluster of import table hashes to understand why these groups of files have the same imphash. You may also revisit the pefile library documentation to explore additional static characteristics worth including in this spreadsheet. With more detail, this document could help you triage and prioritize samples for analysis . I leave these tasks to you for further exploration. This post provided an initial approach to analyzing PE files using Python. Most importantly, it walked through how to use the built-in Python help feature and some basic knowledge of PE files to systematically explore a file’s characteristics and then scale that process to a larger set of files. I recently wrote a post for Cylance (my employer), discussing the polymorphic features of Qakbot. You can read it here. IsDebuggerPresent and GetTickCount: functions that may be used to detect debugging activity. RegCreateKeyW, RegSetValueExW: functions used to manipulate the registry, perhaps to configure persistence. LoadLibraryW and GetProcAddress: functions used to call other functions at runtime, a strategy that hinders static file analysis. FindResourceW and LoadResource: functions used to access embedded resources, where additional code may reside. These are all legitimate files found on a clean Windows 7 64-bit system. This is not meant to be a trick, but instead a reminder. The rush of successfully identifying malware is one we all yearn for, but that glorious destination must be earned through careful analysis. This might be as simple as matching a suspect file’s hash with a known bad file hash, or it might require more robust static, behavioral and code analysis. All observations are not created equal, so we must weigh the severity of each one (i.e., how definitively it indicates malicious behavior) and consider their cumulative value when deciding if a file is malware. Files are innocent until proven guilty, and I challenge you to demonstrate, beyond a reasonable doubt, that a particular file is bad. So how can you sharpen your ability to spot unusual characteristics that may indicate nefarious activity? As in all areas of incident identification and response, we need to understand the normal to discover the anomalous. Pick your favorite legitimate Windows programs and apply your file analysis process. You will likely identify characteristics that might otherwise seem alerting and, with practice, this will increase your tolerance for suspicious characteristics. Inspecting known good files can also help validate (or invalidate) indicators of potential compromise. Think you’ve discovered a group of API calls, a set of strings, or a particular PE file characteristic that only exists in malware? Search across a large sample of legitimate files to test your theory. There is nothing wrong with identifying indications of evil during the file analysis process, and that’s arguably the point of initiating an investigation. However, it is critical to view your suspicions about a file as hypotheses that you prove or disprove based on empirical evidence. Otherwise, you might miscategorize a legitimate file as malware, and that not only reflects poorly on you if someone checks your work – but it makes the file sad too. In this post, we’ll continue exploring some of the helpful capabilities included in REMnux v6. Be sure to regularly update your REMnux VM by running the command update-remnux. Generate a hypothesis based on that observation. Modify the hypothesis based on the outcome of the test and rerun the test. As part of your static analysis process, you extract the ASCII strings from a file and observe the text “HKEY_LOCAL_MACHINE\Software\Microsoft\Windows\CurrentVersion\Run”. You hypothesize that the suspect file uses this registry key to maintain persistence on a victim machine. You run the sample within a Windows 7 virtual machine and realize that this registry key is never modified. You dig deeper via code analysis and realize a Run key is only created if the victim is a Windows XP machine. You can now modify your hypothesis to specify the Windows XP caveat, rerun the test in a Windows XP VM, and confirm your theory. In doing so, you’ve performed focused analysis, learned about the sample’s persistence mechanism (which can be translated to an IOC), and identified an associated constraint. Static file analysis is challenging, not because it is technically difficult, but because it is so hard to resist double-clicking immediately. I feel your pain, the double-click is my favorite part too. However, it is worth developing the discipline to complete a static file review before executing the sample because it fosters methodical analysis and produces tangible results. REMnux includes some great tools to perform static analysis, including the ones listed here. This post will highlight just a few of my favorites. pecheck.py, written by Didier Stevens, is a wrapper for the Python pefile module used to parse Windows PE files. Let’s explore this tool by analyzing the BACKSPACE backdoor malware described in FireEye’s APT 30 report. If you want to follow along, you can download the sample here (password: infected). As shown in the output below, running pecheck.py against the sample returns file hashes and file/section entropy calculations. Entropy is a measure of randomness, and more entropy indicates a higher likelihood of encoded or encrypted data. While this information is helpful, I want to focus on the “Dump Info:” section shown towards the end of the excerpt. This section basically runs the pefile dump_info() function, which parses the entire file and outputs, well, a lot of data (see the complete output here). I like the <DLL>.<FUNCTION> format because 1) over time, it can help you remember which functions a DLL contains and 2) you can grep for the DLL name or function name and retrieve the entire line (not the case with output from other tools). In this particular excerpt, we can immediately see some Windows API calls that are often used for malicious purposes. For example, we see references to the CreateToolhelp32Snapshot, Process32First, and Process32Next functions commonly used by malware to capture a list of running processes and iterate through that list to enumerate activity or target specific programs. We could explore this hypothesis by using a debugger to set breakpoints on these API calls and determine if there is a certain process the code is looking for. Oh, and in case you’re wondering, the hint refers to the potential location of the function within the corresponding DLL – it’s an optimization that, in this case, is not helpful given that all values are zero. Beyond viewing the IAT output, pecheck.py output includes section hashes, version information, resource information and the ability to configure a PEiD database to search for packer signatures. While pecheck.py may not be the first script you turn to due to the large volume of output, I prefer it to others because I can extract the information I desire based on grep searches or modifications to the Python code. In addition, dump_info() sometimes results in parsing errors that may reveal other interesting anomalous characteristics associated with the target file. Figure 4 shows the command executed and the beginning of the output. The first few strings are found in the PE header, so they are labeled as appearing in the “none” section. 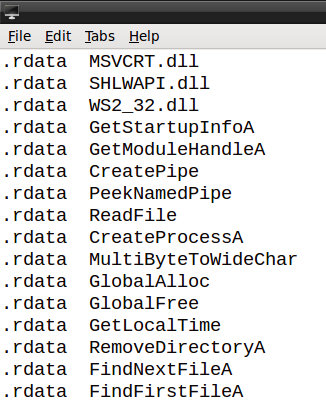 Figure 5 shows strings in the “.rdata” section, including DLL and Windows API function names. The “.rdata” section commonly contains the Import Address Table, which could explain the presence of these strings here. Looking at the pecheck.py output, we can confirm these strings are, in fact, present in the IAT. While we will not dive into code analysis details in this post, Figure 7 makes it clear that the GetTickCount string reference is indeed used to call the function at runtime using LoadLibraryA and GetProcAddress. As shown in the figure above, pe-carv.py successfully extracted a file it called 1.exe, and we could proceed with further static file analysis to better understand this embedded content. Static analysis can generate useful data about a file, but it can also help direct your reverse engineering efforts. While running the tools mentioned above may get you the information you need, I encourage you to check out the source code and customize it based on your preferences. In particular, if you’re just getting started with Python, tweaking this code can serve as a great introduction and motivate further study.